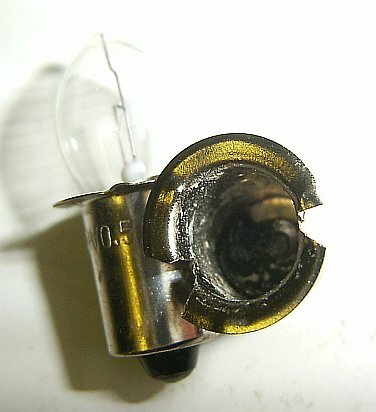 Here’s my very first conversion of a regular “PR Bulb” (incandescent) into an LED Bulb that will work in my new Dollar Tree Flashlight. 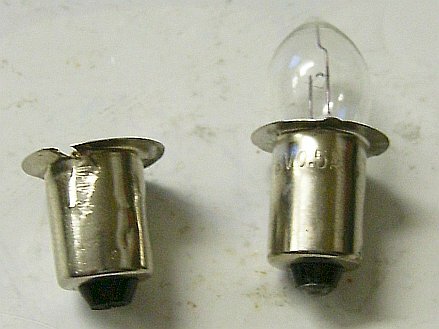 The original bulb is on the right and the shell on the left. 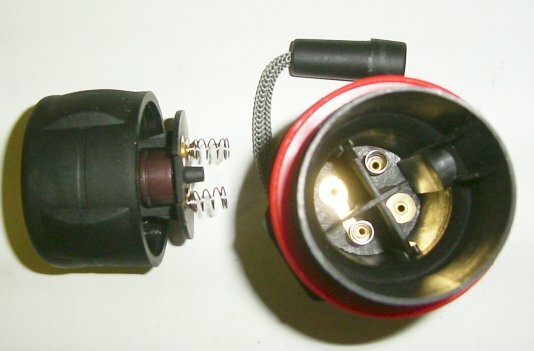 To get the bulb from the casing I put it in a bag and clamped down on it with some pliers. I pulled it out and put it back into the pliers to hold onto it while I drilled out the guts. I simply used a drill bit that was just a tiny bit smaller than the casing. 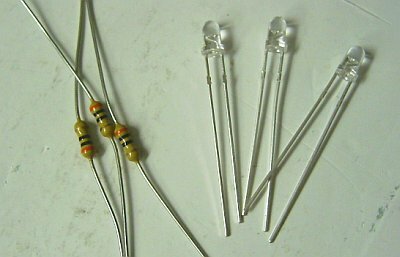 I cut off all the positive leads and soldered on the resistors. 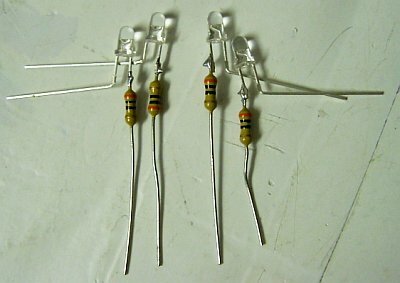 I bent over the negative leads to get them ready for insertion into the casing. Here are the LEDs in the casing ready to be soldered into place. 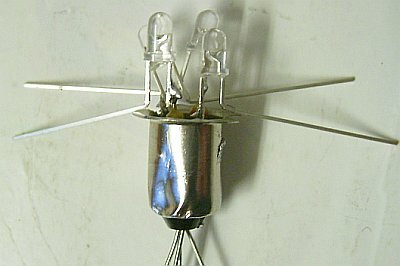 The final product with the negative leads soldered to the casing and the positive leads all soldered together and snipped off. 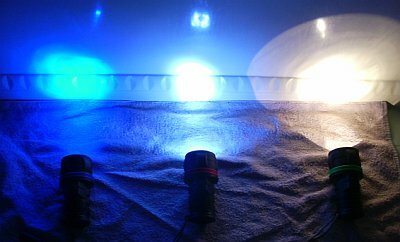 (2) The 3mm LEDs have a wider viewing angle than my 5mm do. While this first run doesn’t have as strong of a “hot spot” it does produce a cleaner / wider beam. 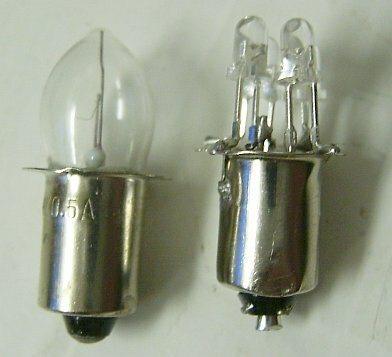 Footnote: The original bulb was pulling 500ma with 4 NIMH batteries while the 4 LEDs pulled 200ma. i’m planning to do the same with my car brakelights. do you have an idea how?